Mosaic tile is one of the most popular bathroom accessories around, and it can be incorporated into nearly every decorative scheme. According to Better Homes and Gardens, if you're looking for a quick update for your shower stall, consider removing a few of your white tiles and creating a dynamic design with mosaic tile. Using these tiles will help you give your space a gorgeous shine that you can pair with other bathroom accessories. Start by finding tiles that blend with your bathroom's accent color - for instance, if you have tiles halfway up the wall and a bright paint color on top, look for complementary tiles that match with your paint color. Now that those are installed, you can give your washroom a glittering touch by replacing a few of the main light fixture and using a small chandelier instead. This will add a bit of opulence to your space that will combine beautifully with your new tile. 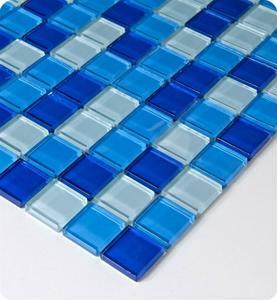 Mosaic tile is a quick and easy update that will give your washroom the fabulous bit of color it sorely needs. What decorative tips do you have for homeowners looking to incorporate mosaic tile into their bathrooms? I think what's great about mosaic tile is that it's fairly cheap, and it is quite versatile with patterns and colours. They are a nice way to add character to your bathroom and add some vibrant colours. Mosaic Tiles are definitely are becoming more and more of a trend specially when used in bathrooms.